Severe weather patterns have impact on hair, causing damage that is why it is important to keep our tresses thick, shiny and healthy. Humidity wind, rain, sun, and cold weather do play a big role in how good our hair looks! The hair is our crowning glory as it frames the face and gives us that youthful glow. And it is no secret that we frequent the best salons in our search for that perfect, lustrous mane, at times to cover up hair on extreme weather days, other times for damage control. We color our hair to hide grey strands or to sport a new vibrant look. We perm our hair to achieve the wavy look and to give it volume. Others with stiff, natural curls, go for the brazillian and keratin treatments to relax hair strands and hide flaws like thinning spots. 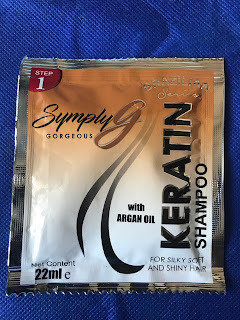 We can do away with all these expensive salon hairspray applications and achieve the same salon-gorgeous hair with Symply G Keratin Shampoo and Conditioner. Kiss all your hair problems away by just using Symply G Keratin Shampoo with Argan Oil (P 6.00) and Keratin Deep conditioning Therapy (P 6.00). 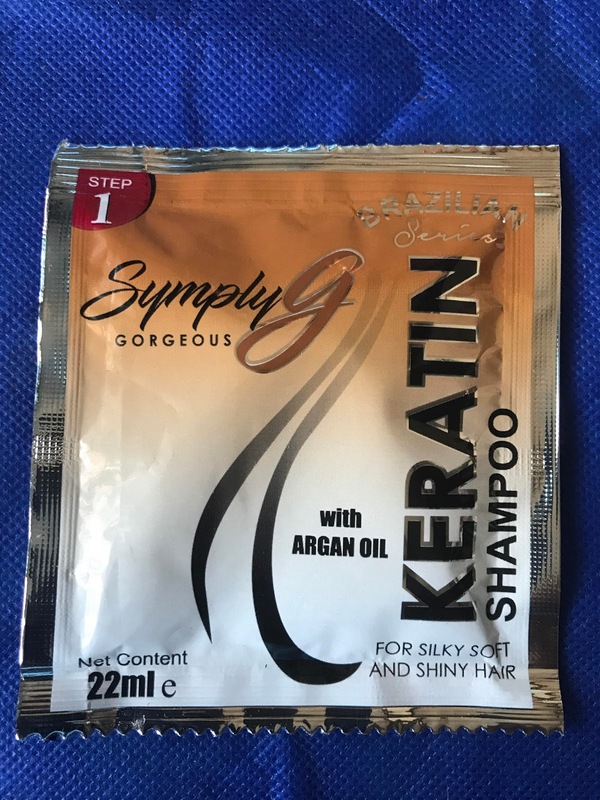 Symply G Keratin shampoo and conditioner supplies protein that your hair needs to improve hair elasticity and strength. Fortified with argan oil, it also protects your hair from damage and breakage over time. 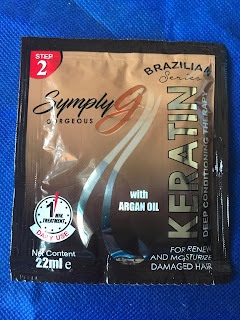 Keratin treatment and Argan oil are widely used in salons today for its ability to transform frizzy, hard-to-manage hair into straight, shiny, soft, and healthy hair. Argan oil protects hair against breakage and heat damage from frequent use of hair dryers or styling equipments. Argan oil is produced from the kernels of the argan tree that is endemic to Morocco. And Argan oil is used by men and women for its effective, all natural moisturizing benefits for both skin and hair. Why spend thousands on expensive and time-consuming treatments when you can have the same results in just two (2) easy steps in the comforts of home? Symply G formulated Brazilian Series Keratin Shampoo with Argan Oil is best for for cleaning rebonded and colored hair. It makes our hair natural straight, soft and shiny with everyday use. Keratin Deep Conditioning Therapy with Argan Oil on the other hand, works to re-hydrate dry and damaged hair. It penetrates deeply while protecting the hair layers. 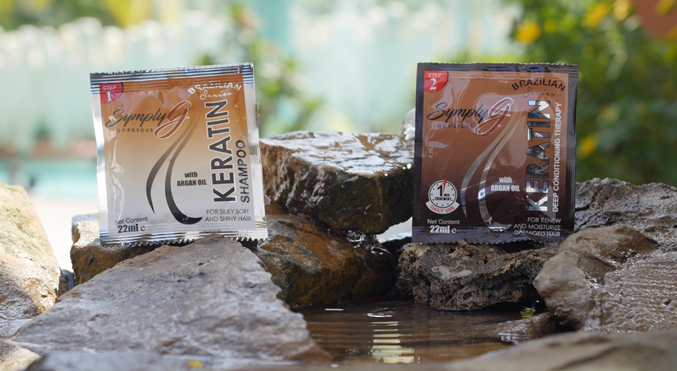 Get the hair you desire with Symply G Keratin Shampoo and Conditioner. Symply gorgeous, Symply healthy, SymplyG hair! Do follow Symply G at https://www.facebook.com/symplyg/ for updates and promotions. I've heard a lot of benefits of argan oil and it's not only good for the hair but also for the skin. Argan oil is most commonly used as a skin moisturiser to hydrate and soften skin. With its high vitamin E and fatty acid content, it is the ideal product to give skin a natural boost. Yes, argan oil is good for both skin and hair. The brand is new to my ears. The price is cheaper than popular brands. I like it. I support products with organic ingredients. I got to buy this when we do our grocery shopping. SymplyG was officially launched last August 12th. Like you, I also advocate supporting local products to help boost our economy by creating more jobs.